Through every vein, flows aqua regia! Full of love, devoid of bluff. The more it isn’t enough. Or the first kiss on my lip. That a soul, so pure, could even be true. You were my long awaited dead-end. In the time of a single life. And I’ll promise to twinkle with you! 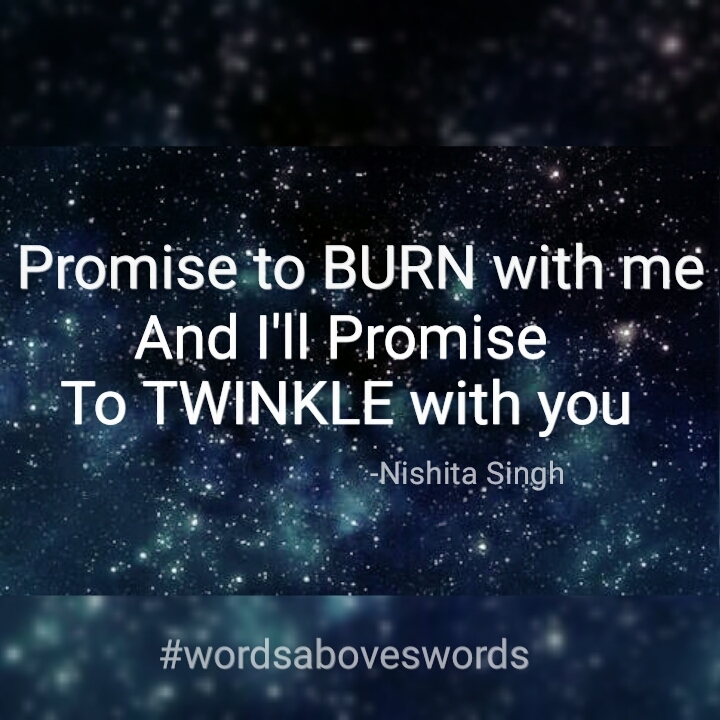 © Nishita Singh and Wordsaboveswords.wordpress.com, 2017-2019. Unauthorized use and/or duplication of this material without express and written permission from this site’s author and/or owner is strictly prohibited. Excerpts and links may be used, provided that full and clear credit is given to Nishita Singh and www.wordsaboveswords.wordpress.com with appropriate and specific direction to the original content.